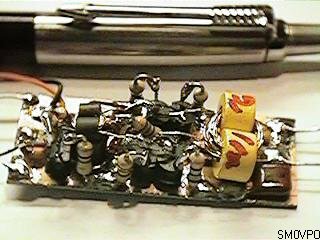 This 18 dB gain amplifier was built Manhattan-style to evaluate the Linear Technology LT1253 dual video amplifier as a candidate output amplifier for DDS systems employing the Analog Devices AD9850 and similar devices. Although I am an avid proponent of QRP (using reasonable power levels), there are times when I wish that I could run 1,000,000 watts and point it in a particular direction. 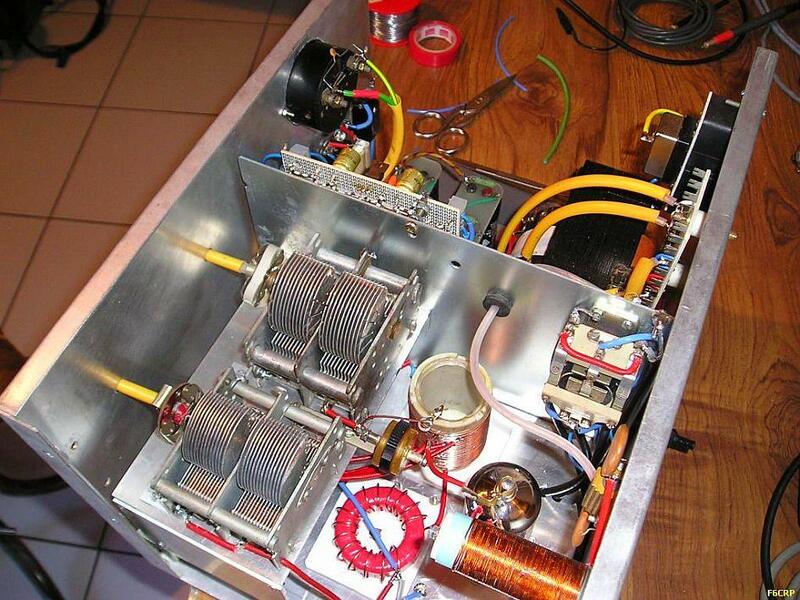 This 10 - 80 m amplifier is using two VHF bilolar power transistors PHILIPS BLW60. 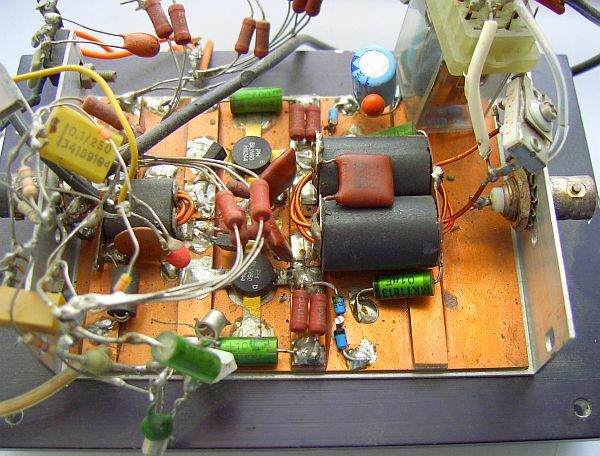 The gain of a VHF bipolar transistor can be very high but the amplifier was perfectly stable in the experimental phase. This compact little amplifier is the brain-child of Pat Murdoch, ZL1AXB, in Auckland, New Zealand. It is only 11″ wide, 4″ high, and 9″ deep. In most respects it is a typical grounded grid linear amplifier, with the exception of a rather unique tuned cathode input circuit that was developed by Pat over 10 years ago. 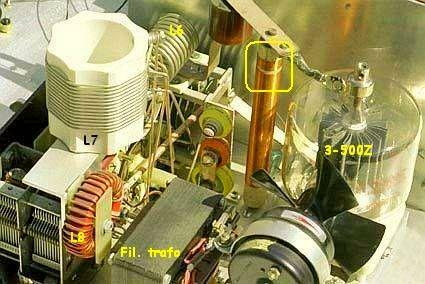 This circuit was described in Sprat 73 by G3ONL and is capable of 5 watts out on all bands. Diode D1 is included to protect the power device, preferrably a hot carrier or gold bonded germanium diode. This project uses a widely available IRF510 MOSFET. This N-Channel enhancement mode silicon gate power field effect transistor is an advanced power MOSFET designed, tested, and guaranteed to withstand a specified level of energy in the breakdown avalanche mode of operation. This is both a project AND a bit of basic theory regarding the design of wide-band HF power amplifiers. As usual, it is prompted as a result of e-mail in which I have to repeat myself over and over again. The 50R input of the amp. is matched to the 200R grid resistor by a 1:4 impedance ratio (1:2 Voltage) transformer. Screen grid (G2) voltage is generated by voltage doubling some of the grid drive RF. It is nowadays hard to find replacement for RF Final tubes such as 6146B 6JS6 etc. Stocks in the market seem to be very limited, besides it is very expensive too. JBOT stands for Just a Bunch of Transistors. 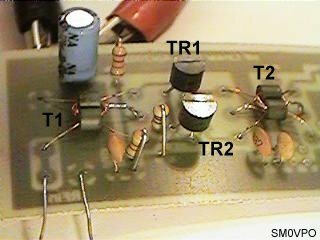 It is a simple, stable and easy to build 5 watts linear amplifier build out of a bunch of ordinary low power NPN transistors. When I was about 14 years old, I learned about Williamson amplifier and Ultra Linear amplifier on the radio magazine. 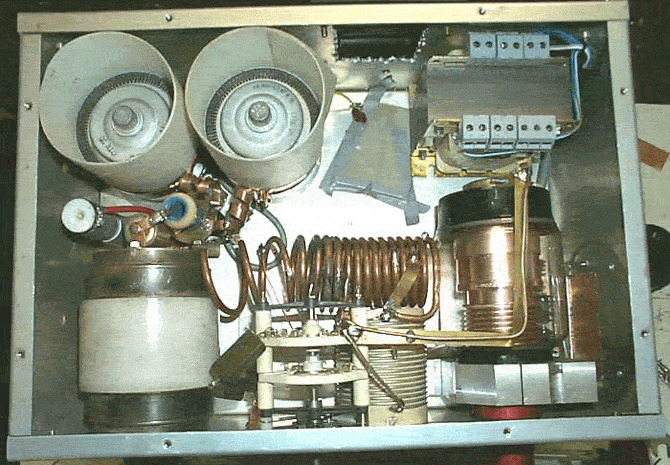 Such amplifiers was made by many tubes and Push Pull type transformers. Actually this rig came back to haunt me. You see when I was in high school, I was a member of an Explorer post that was into Ham Radio. There was a big room full of WWII surplus gear. This particular rig was our "pet" project. The regular visiting of ham flea markets is a money-saving way to obtain parts for a home-brew linear amplifier meeting the requirements of the Telecom authorities. Transformer T1 matches the relatively low impedance present at the VFO FET gate to the balanced inputs of the NE592. With a unipolar power supply, it is necessary to bias both inputs to roughly one-half of Vcc. This project was a particular surprise for me in that the BC547 (equiv 2N2222) can be used to build a 500mW linear amplifer covering the entire HF band with excelent spectral purity and no neutralising at all. This is my implementation of SM0VPO's tiny HF linear amplifier. You can find his original page about the design here: Harry's Homebrew Homepages. I purchased an old Yaesu FL-1000 (4 × 6KD6) (fig») that had changed bands and countries several times, in the course of which it had undergone various modifications. 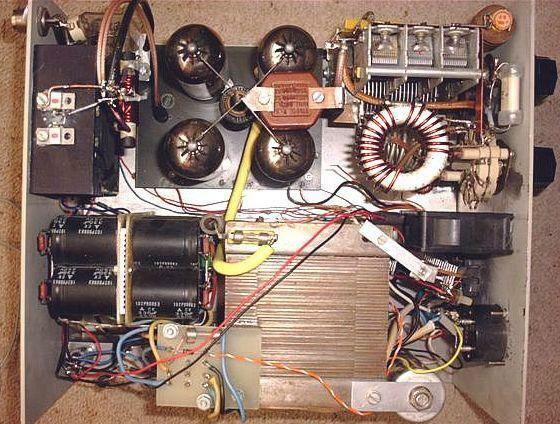 The WA2EBY amplifier is a famous linear amplifier project published in QST in March and April 1999 by Mike Kossor WA2EBY. As this amplifier can give up to 50W out with 1W drive, it is a perfect pair for my Softrock RXTX amplifier.